Architecture students get valuable feedback and guidance from their instructor, Antoine Lahoud. 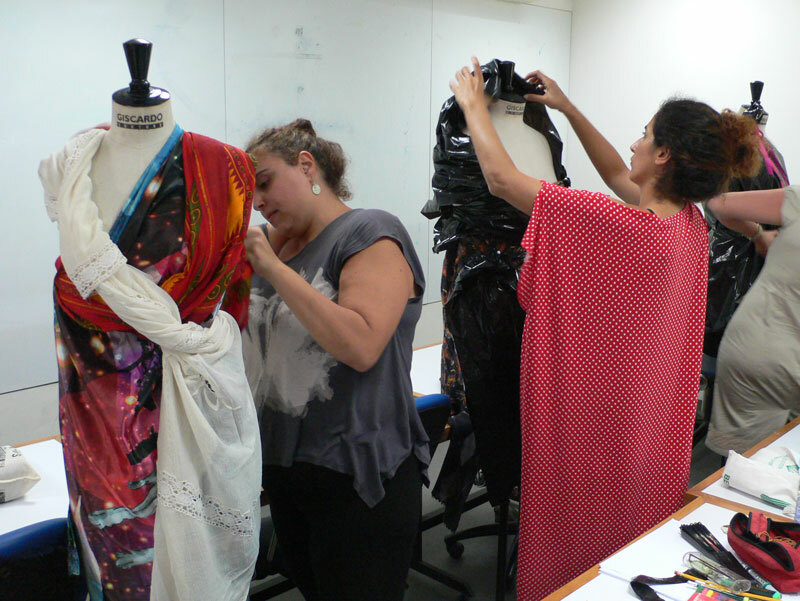 Participants in a fashion design workshop, part of the Beirut Design Week 2013, were challenged to drape a mannequin in various fabrics using conventional tactics. 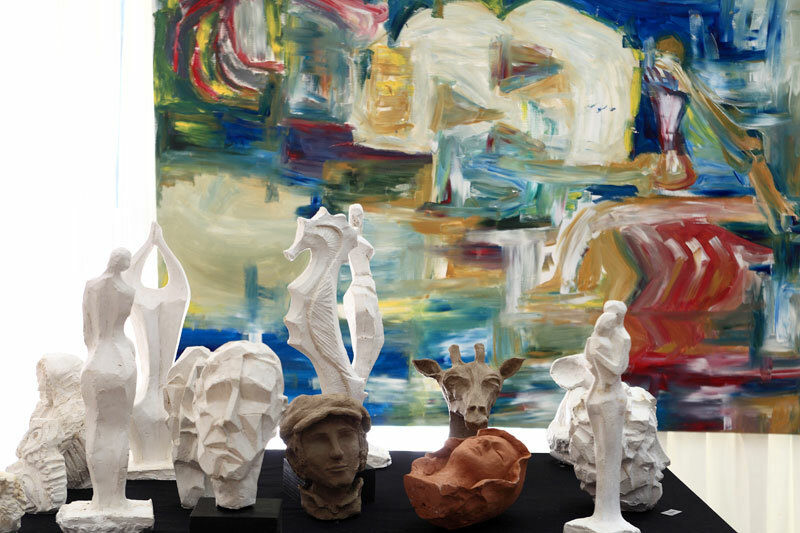 The end-of-year fine arts exhibit has been growing in quantity and quality over the years. (Picture: June 2013). 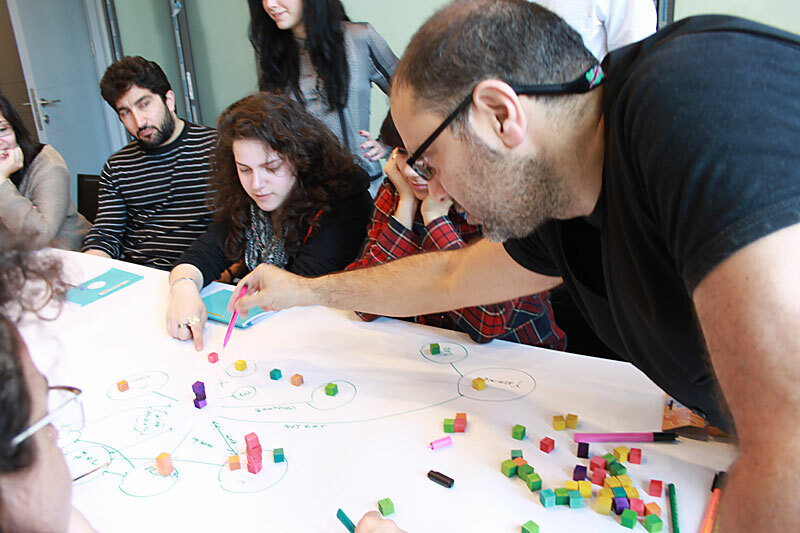 SArD students have ample opportunities to expand their horizons well beyond Lebanon. 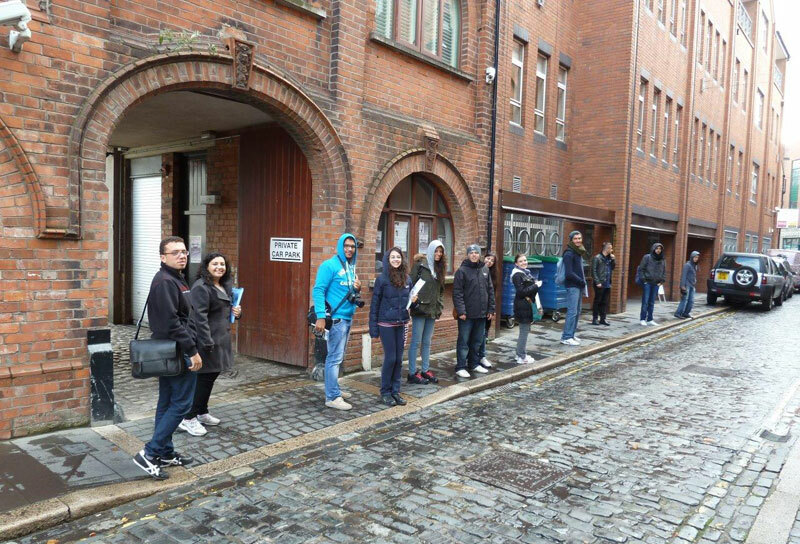 Picture: LAU students during a “traveling studio” in Ireland, September 2013. The School of Architecture & Design at LAU continues on the path of establishing itself as a first-rate institution for education in the arts, design, and architecture in Lebanon and the region. After its consolidation as a school in 2009, it has emerged as a role model in terms of its educational standards and in fomenting a design culture that is creative, open, multi-disciplinary and proactive. The School of Architecture & Design encompasses the programs in Fine Arts, Design Foundation, Architecture, Interior Design, and Graphic Design, under one school. These programs had a long history at LAU, with the program in Fine Arts dating back to 1957, Interior Design to 1982, Architecture to 1993 and Graphic Design to 1994. In Fall 2013, the School also launched the Bachelor of Arts in Fashion Design, in collaboration with the international fashion designer Elie Saab. The School of Architecture & Design is structured into two main departments: Department of Art and Design and Department of Architecture & Interior Design. The School offers Bachelor degrees in Fine Arts, Interior Architecture, Architecture, Graphic Design, and Fashion Design. Moreover, the school offers a Master degree in Islamic Art. At the School of Architecture & Design, we don’t believe that old-time reputation is a laurel bestowed upon anyone forever. Rather, the artistic field impels us to constantly challenge our long-held convictions, and to ‘think outside of the box’, as a key to success. Our commitment to excellence is reflected in part by our efforts to seek international accreditation, something that impacts positively on our educational system, and in other part by our self-motivation to seek new horizons, to constantly re-assess, re-evaluate, and redefine our educational system.